If you love Dave Matthews Band then why not make the most of his live dates this summer as he returns once again to Gorge – you can book a 4 Day Camping Pass to enjoy the weekend to the full and create a festival kind of feeling! What could be better than spending a mid summer weekend with fellow music fans and all of your friends while you get ready for the concert event?! Gorge Amphitheatre offer these incredible camping experiences to give people the chance to prolong the experience… The gates open from Thursday 29th August 2019 – camping passes available right here today!! Dave Matthews Band have had a successful career from the get go, with the main guy behind the team of musicians, Dave Matthews, he has transformed their career from the underground to the mainstream. Dave Matthews is originally from South Africa and moved with his family to America – where he kick started his music. The talented artist taught himself how to play guitar and song-write and between 1990 – 2003 devoted his passion to make it in the music business. With performing around the local scenes, including any gigs they could get the Dave Matthews Band played shows at small venues, college venues and even frat houses to get the word out and gain performing experience. By the release of their debut album, "Under The Table And Dreaming" – it's no wonder that the hype surrounding the album was a big one, as it reached 11 on the Billboard 200. Dave Matthews Band next released a second album, titled "Crash" and just as the first did, the record smashed the charts, this time hitting the number one spot, following it's release, DMB performed shows across America and hosted a groundbreaking concert at NYC's Madison Square Garden, the concert sold out within just three hours of being on sale! Since then their success has just kept on growing and their 2005 album "Stand Up" topped the billboard charts in it's first week of release! Dave Matthews Band have proven and shown throughout the years that they remain humble despite their success, their aim and focus is always to bring their feel good, upbeat energy to the stages so that their fans can have a unique experience at every one of their shows. Their concerts are never the same as they pick their moments with plenty of surprises and varied renditions of their much loved songs. 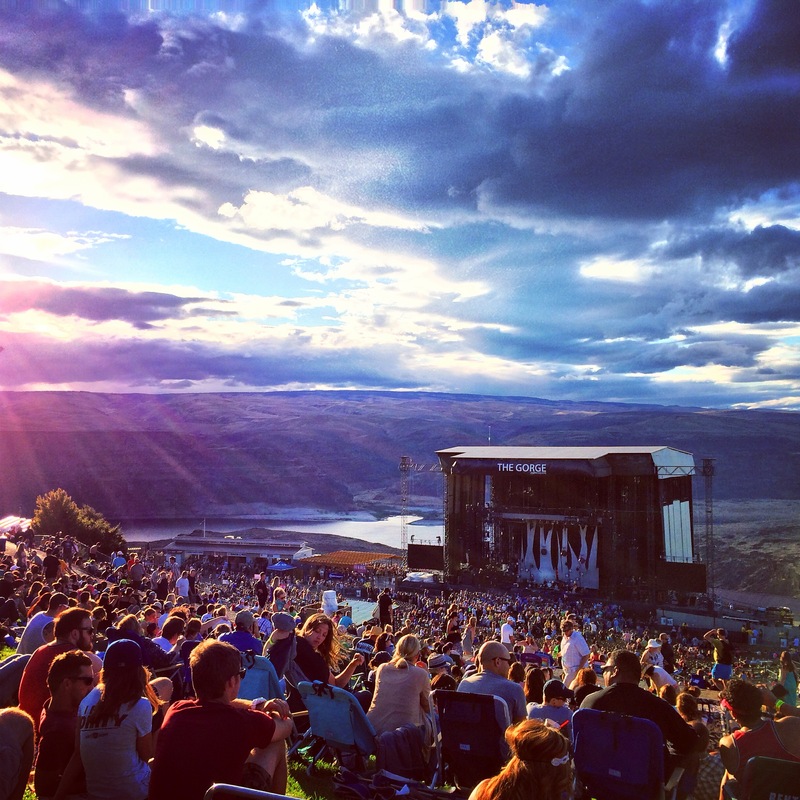 For just a few dates this summer you can see Dave Matthews Band live at Gorge Amphitheatre – come and be a part of the party!